After losing against the USA (2:3) in the ice hockey world championship quarterfinals, the Czech national team had to leave Denmark, the host of that years´ tournament. The sad reality to be accepted by the fans is that the Czechs cannot automatically count on a medal as it was more or less usual in the past decades. It has been six long years since the Czech national hockey team won a medal – the bronze one from the Championship in Sweden and Finland in 2012. Wise men recommend unhappy people find comfort in history. This should be possible as the Czech ice hockey history offers – thanks to the political development of the country – plenty of glorious, funny and sad moments with colorful scenes. Many, in particular, young fans aren’t familiar with this history and stories at all. So let´s take a look at three major events embedded in the minds of dedicated Czech ice hockey fans for decades. 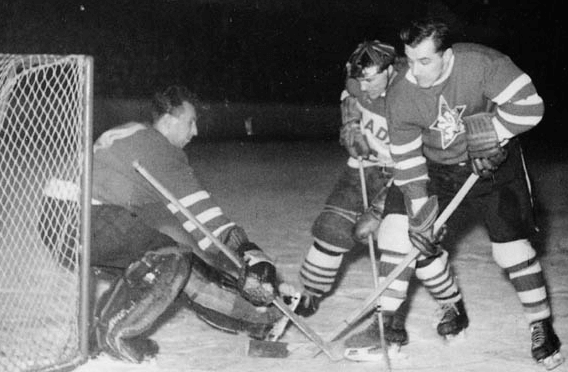 In 1947, Czechoslovakia hosted the ice hockey World Championship in Prague; Canada did not take part, so the Czechoslovak and Swedish teams were the hot favorites. In their direct encounter, Czechoslovakia lost 2:1. The fans were deeply disappointed, and the Swedes already felt like champions before the last match against the outsider Austria. They even received a telegram of congratulations from their king Gustaf. 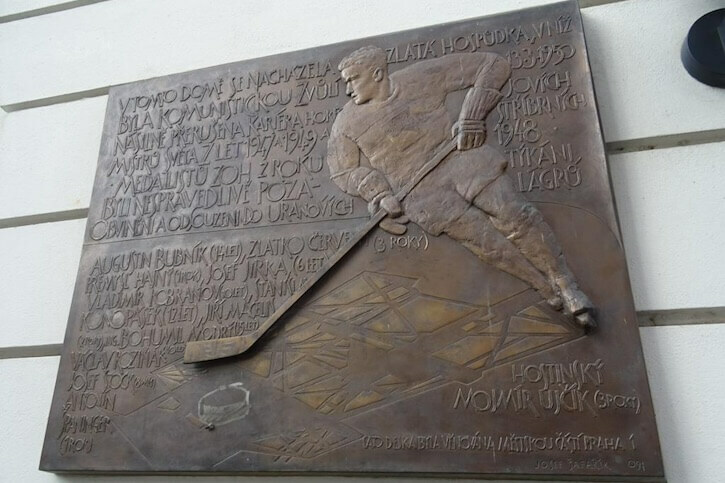 As the other Gustav, the legendary Gustav Bubník, one of the key figures of Czech ice hockey, recalled in an interview many decades later: “As we had (and still have) plenty of nice girls and enough alcohol here in Prague, the Swedes celebrated their victory until the early hours of Saturday”. The nearly-champions from Scandinavia were so exhausted that they lost their match against the outsider Austria taking place on the same day 1:2. Only a few hundreds of spectators attended the match in the beginning. Hearing the news about how the match was playing out on the radio, thousands of more spectators hurried to Štvanice stadium to support the Austrian team-leading 1:0 and 2:1. People chanted LONG LIVE AUSTRIA, which was quite unusual in a country feeling oppressed by the Austrian Empire for centuries. 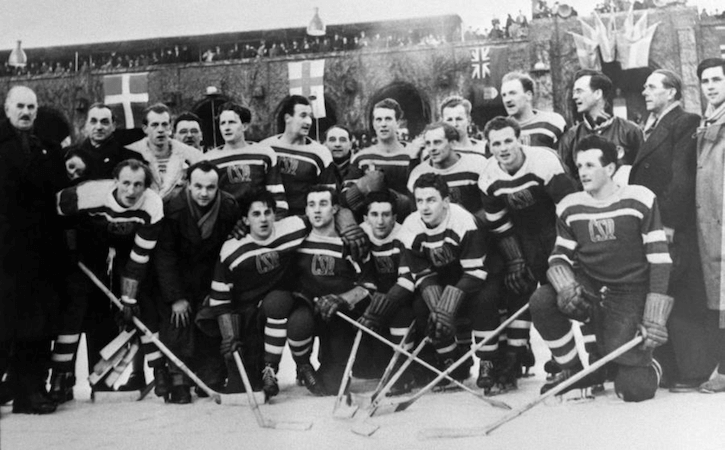 The final win of the outsider opened the path for Czechoslovakia to become World Champion for the first time ever. In the postgame euphoria, the spectators poured onto the ice and carried the Austrian players, still in their jerseys, the one-kilometer distance to their hotel on their bare shoulders. A performance of the opera Rigoletto was underway at the National Theatre when the singer Thein as Rigoletto heard that the Austrians had beaten Sweden. He sang his next song as follows: “I have to inform you that the Austrians have beaten the Swedes 2:1 and there’s still a chance for us to become the champions”. Suddenly, the whole theatre burst into a huge round of applause. In the evening, Czechoslovaks beat the United States and were made world champions. Austria suffered heavy losses during the Second World War, particularly by the bombardments of Vienna and two years after the war there were shortages of everything from heating materials to food. Knowing this, people brought bags full of food and other useful items to the hotel where the Austrians were staying. Railcars loaded with coal and sugar were sent to Vienna. The performance of the Austrian players in the year 1947 could be compared with the sensational success of the Swiss team beating Canada in years. In the late forties of the previous century, the Soviets decided to learn to play traditional Canadian ice hockey with pucks (shaiba). Until then, the kind of hockey mostly played in the Soviet Union was so-called bandy hockey played with a small ball and bowed sticks. The size of the rink was equivalent to the size of a soccer pitch. 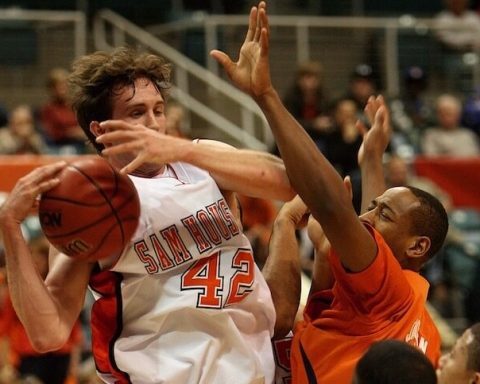 The game took 90 minutes and was broken into two 45-minute halves. Each team consisted of 10 skaters and 1 goalie. The problem was that this kind of ice hockey did not become an Olympic sport. In 1948, the Soviets invited the team of LTC Prague, the best European team, to play in Moscow and perform the basics of the new game to Soviet players and spectators. The Soviets also paid much attention to the hitherto unknown equipment of the Czechs, photographed and measured it to develop their own products. The first Soviet ice hockey team was organized to play three matches against the LTC club. The Soviets won the first game 6-3, lost the second 3-5 and played a 2-2 draw in the last game. In the next few years, the Soviet team played many friendly international matches, e.g., against the Finnish, Swedish, Polish and Czechoslovak national teams to gain experience and to improve their strength. After that, the Soviet team won their first gold medals in their World Cup debut in Stockholm ’54 and the team captain Bobrov won the IIHF Best Forward Award of the tournament. The World Cup of 1949 brought another big success for Czechoslovakia in Sweden. All of a sudden, the team beat Canada and won the gold medal. This was the first ever victory for Czechoslovakia against Canada. The players arrived at Prague’s central railway station with thousands of fans waiting for them. They were also welcomed by the members of the government with Prime Minister Antonin (“Tonda”) Zapotocky at the top. They greeted and congratulated them in a private government lounge at the railway station. The ban on traveling abroad came the following year. Czechoslovakia was already surrounded with barbed wire by then, and nobody could leave the country without special permission. 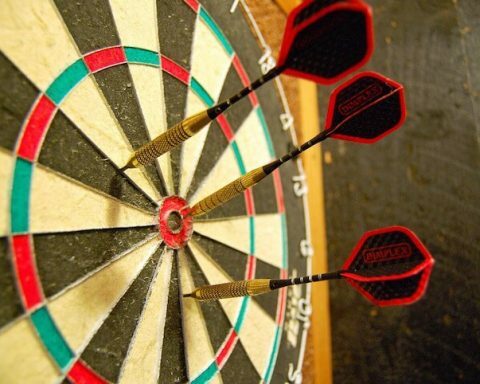 Yesterday´s heroes were not allowed to go to the next world championship taking place in London in 1950. The reason was simple: some players were suspected of wanting to defect to the West and build an exile Czechoslovak national ice hockey team abroad. This would be a major setback for official propaganda. 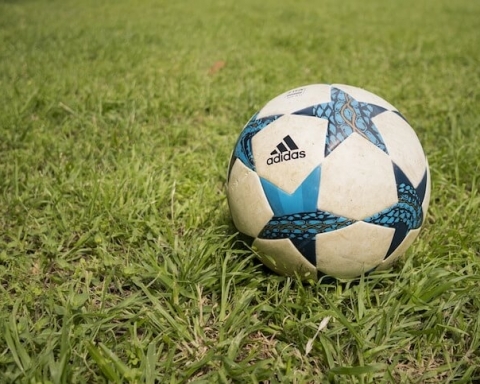 For several days the players were not told the truth, and they hoped the delay was due to some kind of administrative hindrance such as visas. After some days of waiting, several players met in the beer pub U Herclíků in the town center near the National Theatre and discussed the situation. 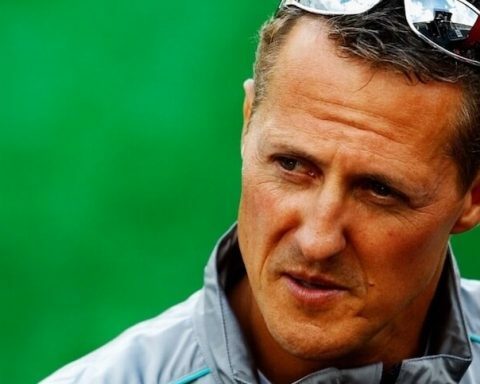 They found out that the decision was definitive: they would not be able to participate in the Championship in London to defend their title from the previous year. The true reason, however, was not the visas; they were just prohibited from leaving the country so that they could not defect to the West. They became furious. Gustav Bubník says: “We all felt pretty bold. I have to admit we swore a fair bit and every now and again would even run out onto the little square and yell: ‘Death to the Communists’ or ´We will not let you cut off our wings´”. In the end, twelve national team players were arrested and sentenced to hefty penalties (seventy-seven years in all) for treason, spying for the West, plotting defection, publicly mocking the Communist party leaders, etc. Some of the accusations were bizarre: Vaclav Rozinak (ten years) was allegedly going to bring some Czech neckties to Drobny, a defected Czech tennis player and Wimbledon winner living in London. After some years spent in a uranium mine of Jáchymov with harsh conditions near the German border, the star prisoners were relocated to a uranium mine of Příbram near Prague where work and life were easier. They could even play volleyball and basketball in the surrounding camp. In winter, they managed to build an ice hockey rink and were promised to receive skates and hockey equipment from the prison headquarters, so everything was set for playing a game. However, when the political situation relaxed a bit after the deaths of the Soviet leader Stalin and Czech president Gottwald, they were granted amnesty in 1955. There is another bizarre paradox unique to post-war Czechoslovakia – this amnesty was proclaimed by the then president Antonin Zapotocky. He was the same man who – only a few years before – almost played his accordion in admiration for the same ice hockey stars at Prague’s railway station after their return from Stockholm as world champions. Communist propaganda was spared a setback, but Czechoslovak ice hockey was not. The amnestied players were not allowed to play for the national team, and it took several years to repair the damage. In Czechoslovakia, politics and ice hockey continued to mingle through decades to come. This was particularly reflected in matches between the Soviet and the Czechoslovak national teams with heavy political overtones sometimes accompanied by unrest in society and political consequences. This is yet another story deserving separate attention. The “13th Chamber of Gustav Bubník” – a TV programme with the legendary member of the arrested team, 82; he died 2017 at the age of 88). 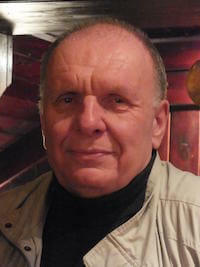 Milan Faltus is a Czech citizen and a professional translator since 1975 in Czechia. He graduated from the Department of German and English studies at the Charles University in Prague. He also translated two non-fiction books from Czech into German. He likes to write funny stories from everyday life and the Communist times.